Roof colors: How to choose the perfect roof for your home. 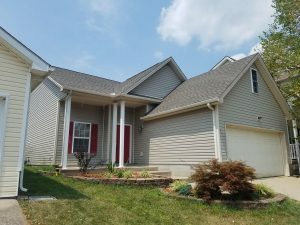 How to Choose Roof Colors For Your Home! Many of Joshua Miller Roofing customers ask for direction, when choosing roof colors for their home. It’s a big decision. You certainly don’t want to regret that decision. Below you can find some tips and examples of color schemes for your roof. You can always check out more Joshua Miller Roofing projects and color schemes in our “Portfolio” section of our website. 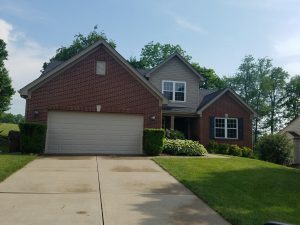 The color of this GAF Timberline HD Shingle completes the blend between the trim colors and base brick colors. The best place to start deciding on roof colors, is with your existing permanent colors. For example, if you have a brick house, you won’t be able to change those existing colors very cost effectively. Siding and paintable surfaces can be changed much easier. However, if you’re not planning on spending the money on those expensive repairs any time soon, you will likely want to design around your existing colors. You can use both the trim and base color of your exterior walls to determine which color scheme fits your style. 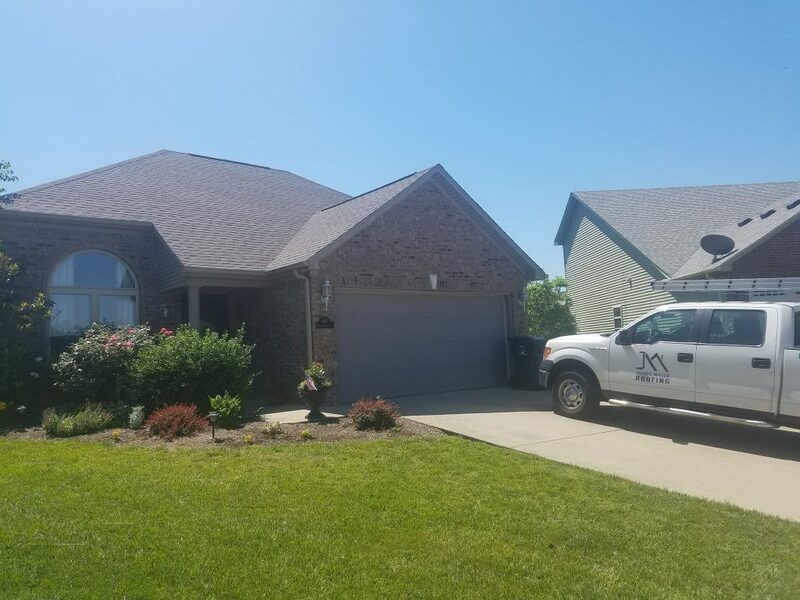 The best advice that we can give at Joshua Miller Roofing to Lexington, Kentucky homeowners, is to keep it simple. You have two basic options. First, you can find a blend that complements your existing base exterior wall colors and your trim color. This will provide a beautiful complement to your existing colors. The other option is to use your roof to accent your home. Many homeowners who have black shutters, typically use a black or charcoal color roof to add to the black accents they have already incorporated in their color scheme. 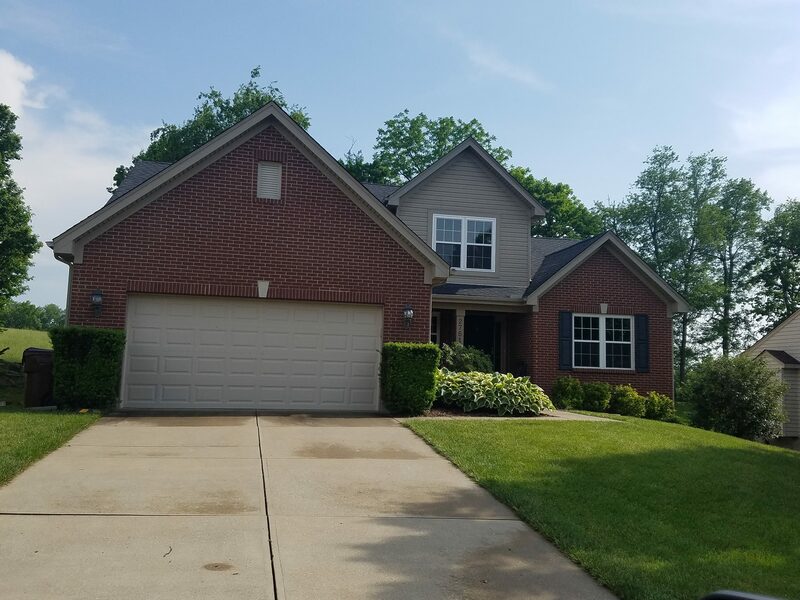 This GAF Timberline HD Charcoal roof helps to add accent features to this brick home, with black shutters. The best part about living in the 21st Century is the amazing amount of access to online tools. We would like to hi-light one of our favorite tools. GAF’s Virtual Home remodeler allows you to upload photos of your own home and then see their different roof, colors and styles. This takes a lot of the guessing and hoping out of the equation. By the time you realize you don’t like your new roof, it is already too late! Ultimately, having an experienced contractor to guide you through the process is the best advantage, of all. Don’t go it alone. Call JM Roofing today for all your roofing needs. 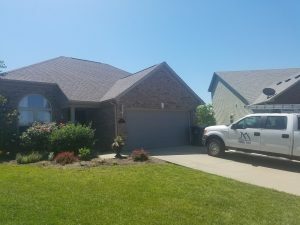 We service KY,OH,GA, and more! Call today! This GAF Timberline HD Weathered Wood shingle blends the existing colors from the exterior walls and the trim color.